Office to collect the keys is on site and we were greeted upon arrival and provided with lots of information on hikes and activities in the area. Host very welcoming. The spot , right front the lake is amazing. Quiet and clean , this is my second time here. really cute, clean and cozy. really well laid out and great location. Scernery, The town, the people, the food and the music and wine tour! We had a cottage on the water. It was very nice and perfectly clean. The view was wonderful. We were only passing through, but it seemed to be a nice place to stay for a week to discover the county. The huge windows highlighted the view at all times. The outside patio was also perfect. Colorful landscaping added to the beauty of the view. The Twin Birch Suites was awesome! Completely exceeded my expectations! Great value for what we got and they let us check in early! I would have spent a week there if I could have and I would definitely go back! Caroline was fantastic! She was friendly, kind and greeted us on arrival. She was so helpful with her recommendations on where to go on our wine tasting and brewery tasting excursion. On arrival Caroline showed us around our little cottage which provides all of the basic amenities, comfort and more. She also checked with us the next morning before we left. 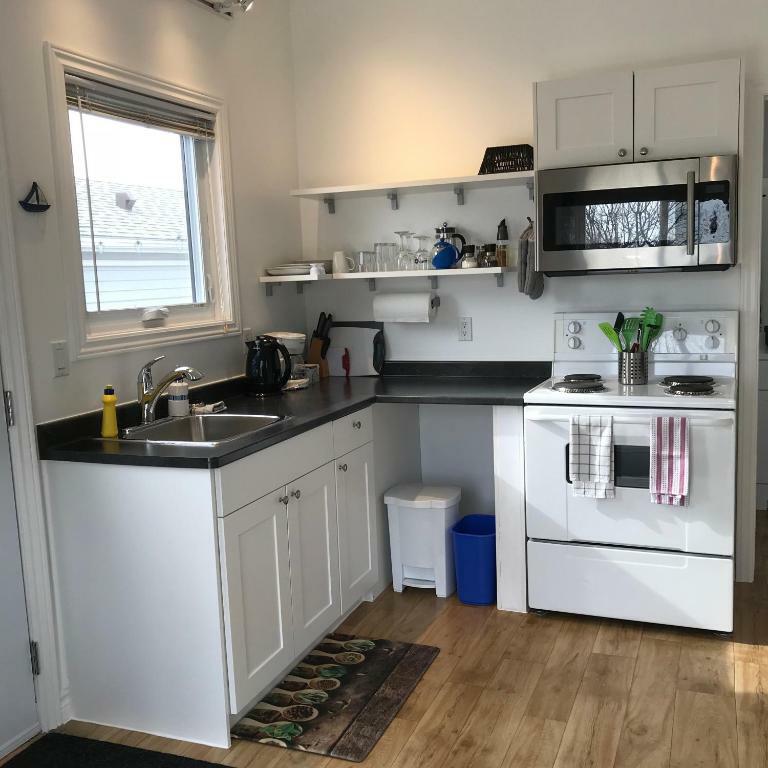 The location is across the street from a gas station/variety store and Tim Hortons and is within walking distance from ice cream, coffee and pizza. We plan on staying here again on our next trip back. Lovely cottages near the lake (beautiful view) and we got some great local recommendations around the area. Very clean. Cottages are well stocked with utensils, dishes, etc. Hosts were very kind and helpful. They sent instructions ahead of time, but I was also able to reach them easily by phone to arrange for check in. The location is phenomenal !! We stayed next to a beautiful lake with a great little pier for pictures. The bungalow has a small outdoor area with a great barbecue and should be nice to stay there drinking wine and enjoying the view of the lake. Loved it !! Lock in a great price for Twin Birch Suites and Cottages - rated 9.5 by recent guests. 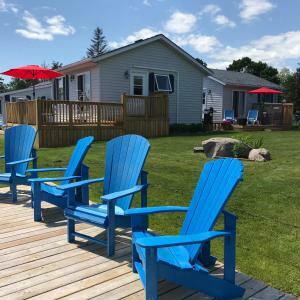 Twin Birch Suites and Cottages is located in Wellington. Free Wi-Fi access is available in each of the holiday homes. All of the accommodation will provide you with a flat-screen satellite TV. It includes a refrigerator and a coffee machine. A hairdryer and free toiletries can be found in the private bathroom. You can enjoy a lake view from some of the units, while others have a fully equipped kitchen and patio. You will find a garden and BBQ facilities. 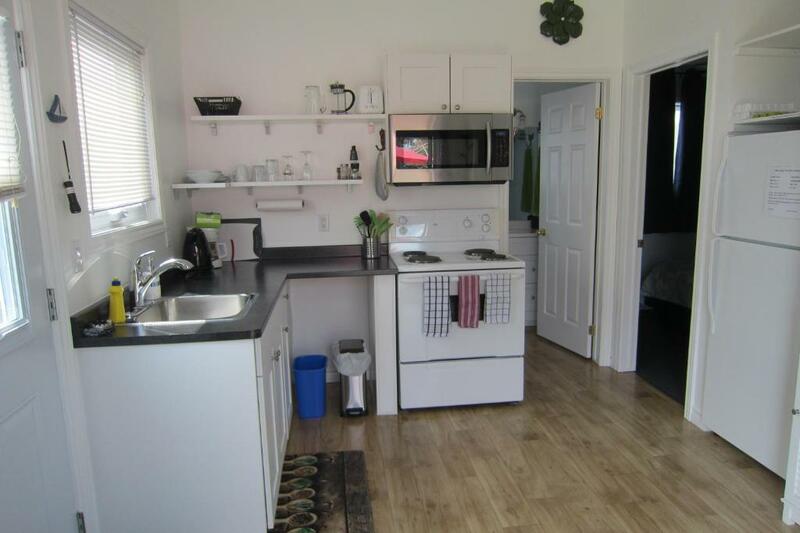 The property offers free parking and is pet-friendly for an additional fee. This property is also rated for the best value in Wellington! Guests are getting more for their money when compared to other properties in this city. Twin Birch Suites and Cottages has been welcoming Booking.com guests since 11 Apr 2014. 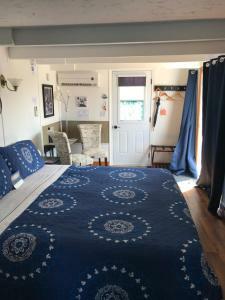 When would you like to stay at Twin Birch Suites and Cottages? This holiday home has a CD player, seating area and stovetop. It also includes a spacious wardrobe, a furnished patio and a 4-piece bathroom. Please note that children under 3 years of age can stay for are free. Children between 3 and 12 can stay with surcharge. This suite features a patio, BBQ facilities and a lake view. Opening out on to a balcony, this suite features a tea/coffee maker, DVD player and kitchenware. This studio features a private entrance and furnished deck with BBQ facilities, coffee machine and mini fridge. Please note, there is no kitchen in this studio. Guests are asked to not bring any of their own cooking devices into this studio. This studio cannot accommodate children and pets. This one-bedroom suite has a queen size bed. An additional, roll-away bed can be added upon request and with surcharge. An amazing view over West Lake, is it the sun rises or sun set its a magical place to be. We create space for our guests to unwind, relax and feel comfortable and safe. We are not a place to come for party, heavy drinking and listening to music our quiet time starts at 10.30 pm till 8 am. We can not accommodate groups i.e. weddings, bachelorette, birthday or family reunions. We are the perfect place for couples who are looking to enjoy the waterfront property and touring our little island, go kayaking or canoeing, wine tasting and biking or birdwatching. Relax and enjoy nature. Our Resort is for our overnight guests exclusively, there fore no visitors/guests are allowed for any length of time on the Property, no exceptions. If you need any help in planing your stay, please do not hesitate to contact us. Tell us what you would like to experience while visiting. Growing up in Switzerland was amazing, moving to Canada in 1999 was live changing. Ever since in the hospitality and property maintenance business, this is our second Resort. We are dedicated to offer the best and cleanest accommodation in the County, give us a try! You will not be disappointed. Wellington Rotary Beach is a leisurely 8 min walk, the Millennium trail is within 8 min walk. Within walking distance we have many dining options from Vegan, Vegetarian, Pub style and fine dining. Art Galleries and even a warm glass artist is in Town. The many great Wineries, Breweries and one Distillery are a short pleasant drive or cycle away. Our Farmers Market is a pleasant 7 min walk from the Resort. We do have one complimentary Park Pass per unit which you can sign out, please return the night before check out. Sandbanks Provincial Park, the Dunes Beach is a 20 min drive by car, during high season go early in the morning or late afternoon. 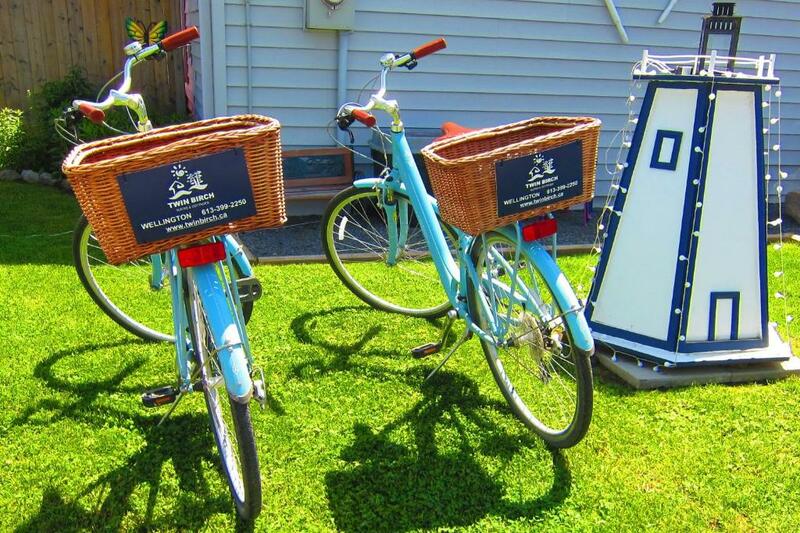 House rules Twin Birch Suites and Cottages takes special requests - add in the next step! Twin Birch Suites and Cottages accepts these cards and reserves the right to temporarily hold an amount prior to arrival. Please inform Twin Birch Suites and Cottages in advance of your expected arrival time. You can use the Special Requests box when booking, or contact the property directly with the contact details provided in your confirmation. Lovely location, and the hosts were excellent. My kids loved the cottage. Pillow is too high, hot water is limited. King size bed, cleanliness, big window with lake view. Amazing location, nice layout, and very clean!! the staff was exceptional ...the attentionn to detail was over the top .. These cozy lakeside cottages are located close to it all . A home away from home , thoughtfully equipped and pet friendly ! Thought we were getting a cottage right on the water because that’s what bookings.com advertised 😡 We were disappointed we did not get the waterfront but our cottage was still very cute and comfortable. We felt misled by bookings.com. I will deal directly with the location next time to be sure I get what I am really getting ! Bed was very comfortable and the place was clean. It was off a main road. I would not have liked being in one of the cottages near the road. Since we were on the water it did not appear we were as close as we were. No ice available on site. Host sent us acrosss the road to a convenience store.